The Boston Red Sox are celebrating the 40th anniversary of Episode IV: A New Hope this year with a Star Wars Night on May 4th. May the Fourth be with you, Red Sox fans! 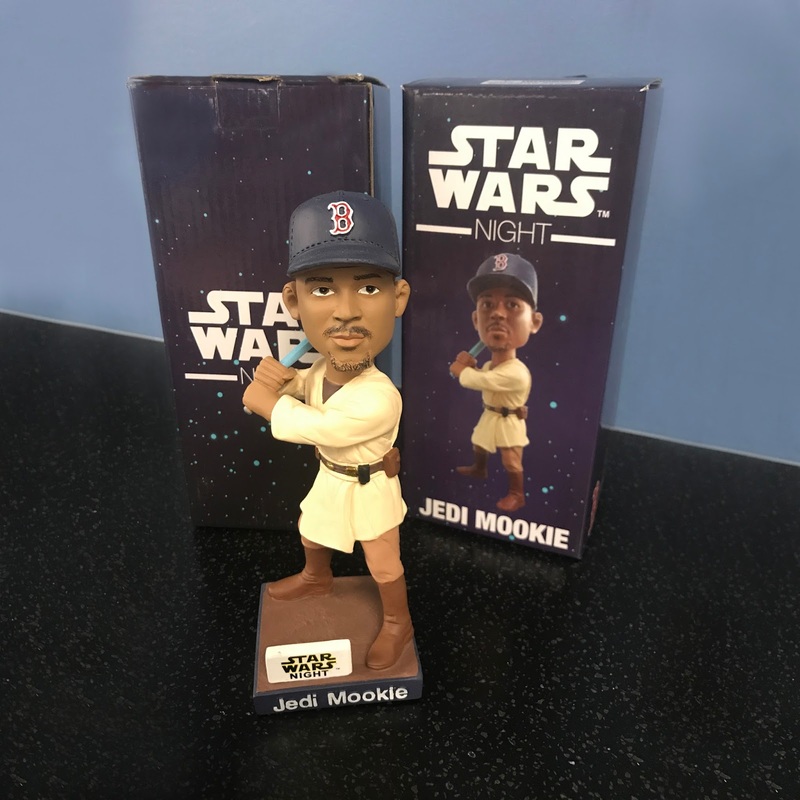 You can still get a special ticket at http://www.redsox.com/starwars which will get you a ticket for the game as well as an awesome Jedi Mookie bobblehead which includes his very own lightsaber bat! In honor of the Star Wars themed night, I am giving away one Jedi Mookie bobblehead to one of my blog readers! Hurry up, though, this giveaway ends at 12:00 am on 5/4/17.